Q. Tell me about your own backgrounds as artists Lu and Callum, how, where, when and why did your own professional artist journeys begin, education, key motivations ? LF: I’m currently completing honours in visual art at QUT, before starting uni I completed a diploma in visual art at Southbank Institute of Technology. My key motivations for making art stem from my relationship with rural Australia and the landscape. CM: I’m currently completing honours in visual art at QUT, before starting that I was playing footy in high school. My key motivations for making art is to explore representational boundaries of queer bodies on the screen. Q. Tell me in some detail about the hows whys wheres and whens of Cut Thumb and something of the whos and programs too, the key motivations behind the starting and growing your own artist-run CUT THUMB? LF & CM: Cut Thumb started in early 2015 after a drunken conversation at the IMA cocktail party. We decided that Brisbane needed more places for emerging experimental artists to show work, at the time there weren’t many opportunities. Our key focus from the beginning was to provide affordable opportunities for these artists to test their work and without pressures of the white cube. Q. 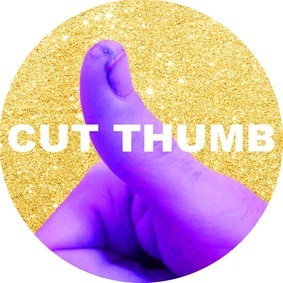 Tell me a bit about how you came up with the name Cut Thumb, its great? LF & CM: Thank you, we were trying to think of a name and Callum had cut his thumb at work, so that’s the name that stuck. Cut thumb team. 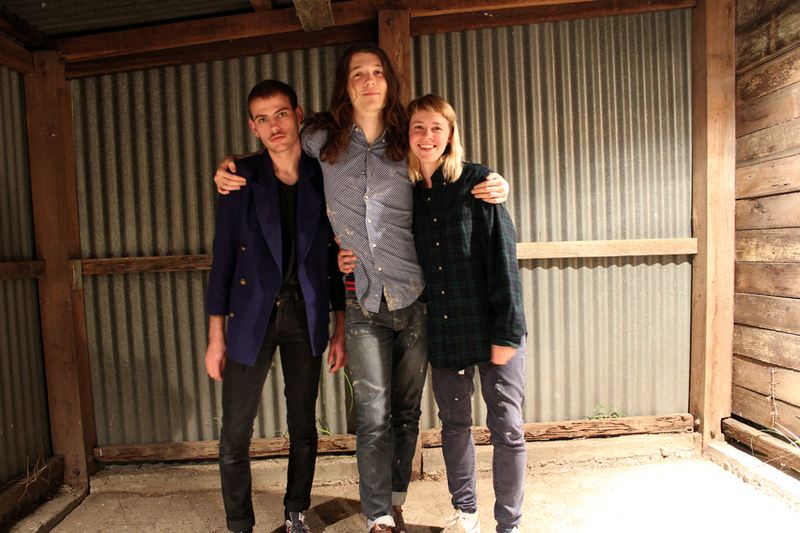 from left to right: Callum McGrath, Spencer Harvie, Lucy Forsberg. Q. There seems to be an abundance of artist-runs unfolding/generating in Brisbane this year, perhaps this is due to the emergence of new arts graduates, what is happening, why so and how and where? LF & CM: Our best advice would be to visit a few shows, look at the art and talk to the people running the spaces. The ARI’s that were operating previously to Cut Thumb in Brisbane such as Accidentally Annie Street space, Witchmeat and In house ARI had closed up shop and we saw that this would affect the emerging artists who were graduating from uni and needed somewhere to test new work. The Laundry Art Space, Fake Estate and Cut Thumb started to get a lot of traction early 2015 and the other spaces have opened in the meantime. Q. Tell me about one or two artist-run examples. artist-runs /colleagues you admire, collaborate with and why so? LF & CM: We admire the effort and work put in by both the Laundry Art Space who operate from under a house and also Clutch Collective who’s gallery space is a truck. We think the approach to showing work in alternate spaces is interesting and it has been great to take part in and watch the programmes and artists of these spaces evolve. Q. And so many different models and methods being used today all around the world for artist-runs, tell me about your thoughts on this cultural biodiversity, why it matters to you, what it tell us about the continuity of artist-runs? LF & CM: It matters to us because we are always seeking alternate ways to make things happen. This especially rings true in regards to the small budget we have and how we need to make our own unique model work for us. The white cube is a very restrictive and exclusive space so it makes sense that artists would want to critique this model through the vehicle of an ARI. Q. And perhaps, if you know, something about artist-runs in Queensland regional areas like the Gold Coast, Toowoomba and so on, what you love about what’s happening artist-run wise in regional Queensland? LF & CM: The Walls art space in Miami on the Gold Coast is a great example of a space functioning in a regional area. 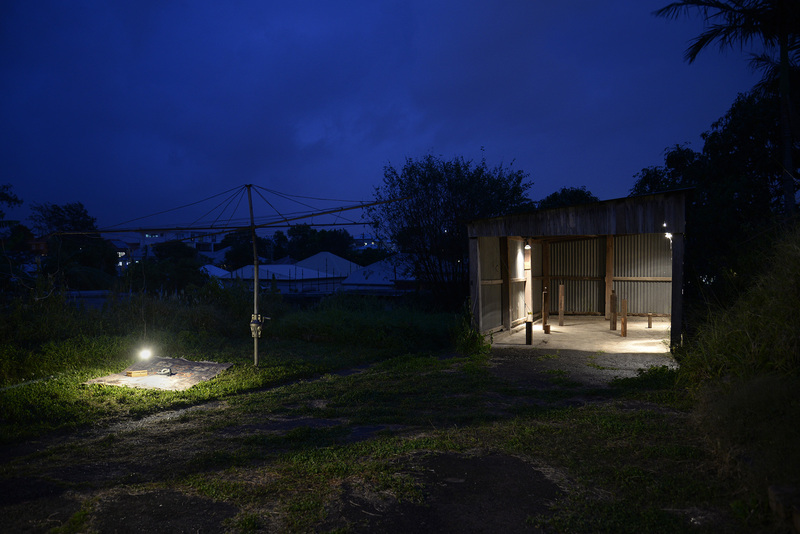 Although the space is not exactly defined as an artist-run space, it still operates in a similar way. Rebecca Ross, the artist who founded the gallery is paving the way for contemporary art on Gold Coast. Q. And interstate or overseas, what is seizing your attention in the artist-run sphere elsewhere now? LF & CM: We admire anyone who works hard to maintain a space for artists to show. Particular ARI’s that have caught our attention include Sawtooth in Tasmania, Kings Artist-Run in Melbourne and also FELTspace in Adelaide. Q. Did you guys manage to visit the Ephemeral Traces exhibition about 1980s Brisbane artist-runs at the University of Qld Art Museum April- July this year, and if so, what did you love or indeed not love about this exhibition? What was astonishing about the exhibition, what did you learn, did it inspire you in some measure perhaps, did anything get you guys thinking differently perhaps? LF & CM: Ephemeral Traces was an excellent way for younger artists and those running spaces to get an understanding of what has previously existed in Brisbane. 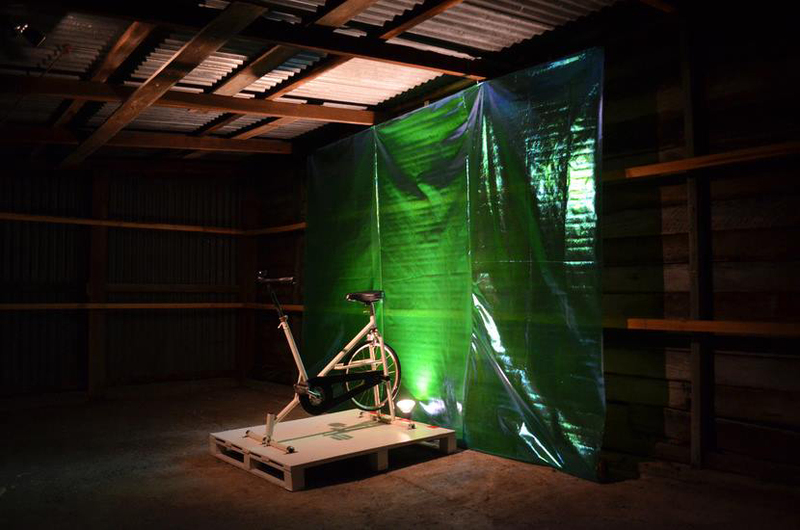 We learnt that artist-run spaces are able to operate on little to no funding and with or without a space. This was inspiring to us as we realised that we could be resourceful, save money and still be able to curate engaging shows. Q. Brisbane has such a wellspring of artist-run heritage since the late 1970s ( in fact the 1940s with Barjai and Miya Studios no less) and in a similar way, what are your enjoying about the related research unfolding now remix.org.au, or indeed not enjoying about the archive as it develops now. And do you feel it is useful today in some way(s), how so, why so, what do you feel it brings to the knowledge base? LF & CM: We do believe it’s important for this information to be unfolding and available as it allows us to understand the context in which our space is operating and what we are adding to. Gillman, Bridie. You and I, We’ve got the same blood running through us. 2016. Cut Thumb Ari. Q. Are you hopeful for the sustainable future of artist-runs, how so, why so, what value do you feel this culture of artist-led collaboration brings to the knowledge base, to arts and culture heritage that institutional spaces like the IMA or GOMA don’t offer or provide or indeed understand perhaps? LF & CM: It is hard to say because the nature of ARI’s is often ephemeral, they do come and go. The value of these spaces is that they are available for emerging artists to experiment and test works in safe environment. Community connection is a huge element of Cut Thumb and the other spaces, it’s important that we as an emerging community are supportive of each other. Parallel Park. Tandem. 2016. Cut Thumb Ari. Q. Advocacy for artist-runs is an important issue, can you tell me something about how you advocate on behalf of artist-runs? LF & CM: We advocate for artist-runs fore-mostly by running our own space and also by attending and helping at other spaces as a show of support. Cut Thumb has also been involved in panel discussions on the importance of these artist-run spaces. Q. Tell me about the BARI Festival, what makes it useful and memorable for you? LF & CM: The team at BARI are fantastic at organising funding for the spaces involved with the festival. This funding is important as it not only helps us to pay the artists for the work they are doing but also validates that the work we are doing is of value. Q. Do you feel there is a need for a full time professional lobby advocacy networking group or professional association for artists/ artist-runs in Queensland today, a group similar the log term Queensland Artworker’s Alliance and if so what form this might take, to lobby for legislative change, policy changes for artists, for artist-rights, moral rights, legal rights and added professional development/studio/employment/collaboration/public art opportunities, housing and so on? LF & CM: This isn’t something we have considered in detail but of course we advocate for and believe that any support for the arts is integral. Q. Perhaps there also needs to be a regular annual artist-run expo or artist-run fair in Brisbane too, much like the vibrant culture of artist book fairs around the world that are so popular today, and perhaps GOMA would be interested in collaborating on something like this, your thoughts, ideas? LF & CM: Sure, why not? We’d love to collaborate with GOMA. Q. What do you feel are the failings of many artist-runs, and what can be done to solve these failings perhaps? LF & CM: We’re not sure if “failings” is the right word. Artists are busy people and want to do a lot of things, go places. Perhaps spaces close for new spaces to open. Q. And what does the future of CUT THUMB look like from where you are standing now? LF & CM: Always ambitious and always experimental.